Please join us in this panel discussion that explores the link between sports and the business world. In particular, we will discuss how we can apply lessons learned from the athletic field to raising our game in the corporate world and furthering our careers. On this evening, several highly accomplished women and men senior executives and athletes in Hong Kong, will be sharing their perspectives and personal stories of how participating in sports contributes to their business success. 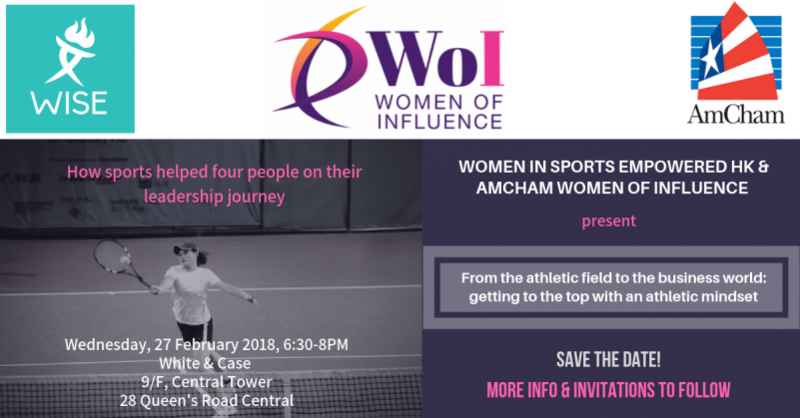 Hosted by the Women of Influence Committee at AmCham and Women in Sports Empowered Hong Kong.